Hey everyone! A little bit of cool news. Our film Beyond the Basement Door landed on the favorite indie films of 2013 list over on Three If By Space! If you read this and you're convinced you'd like to check out the film, you can direct download or rent it on Indiereign.com right here. If you do, we'll take that cold cash and turn it right back around for more projects. We're also working on the TenWingMedia.com store and soon our products will be available right here too. 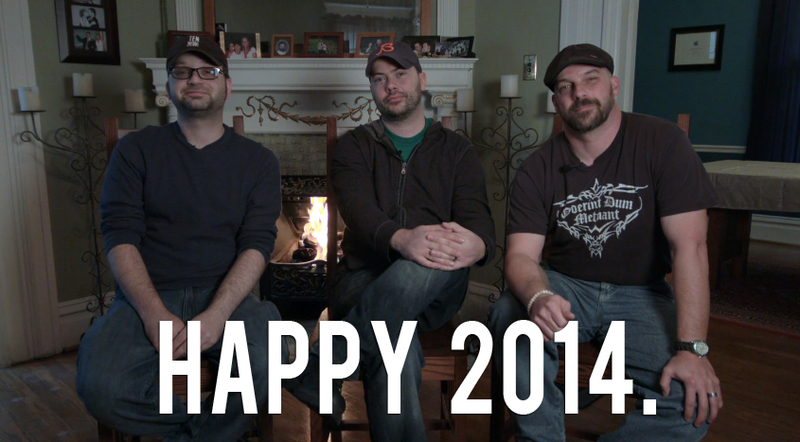 Hope everyone is having a good 2014 so far and thanks for reading! Do you like horror movies? How about booze? Great! Jason Huls' film, Beyond the Basement Door, is screening at the 13th annual Drunken Zombie Horror Film Festival on November 2nd. The fest takes place at Landmark Cinemas in Peoria, IL so all you central IL folk...we're looking at you. If you head over to the DZFF site or Facebook page, you'll see that the lineup looks really fun. Beyond the Basement Door is scheduled to screen at the very precise time of 6:16 p.m. Shamble on in!